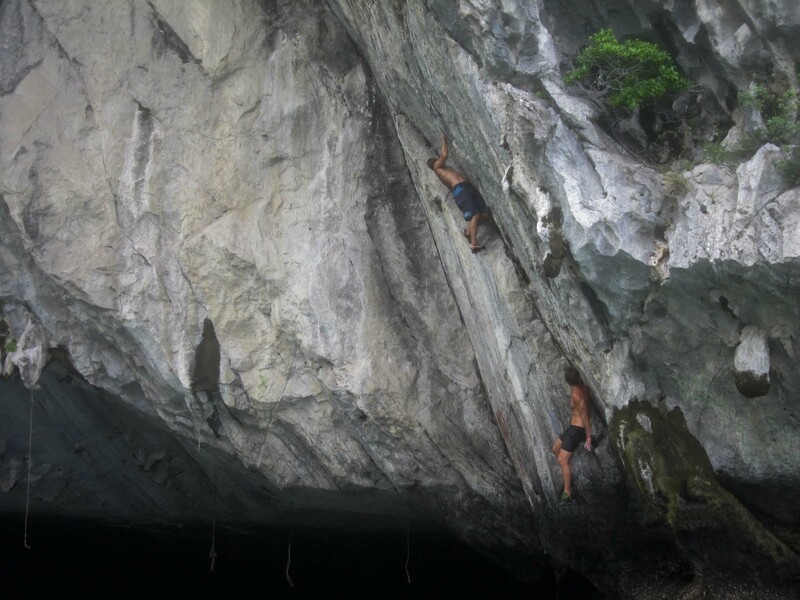 Deep water soloing | So Much to See......So Much to Do. 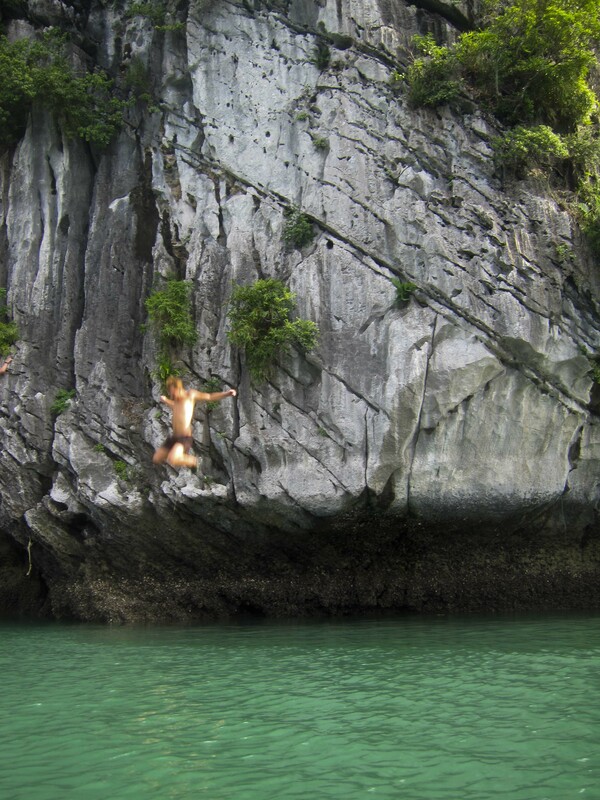 While in the Ha Long Bay/Cat Ha Island area I had a go at deep water soloing. 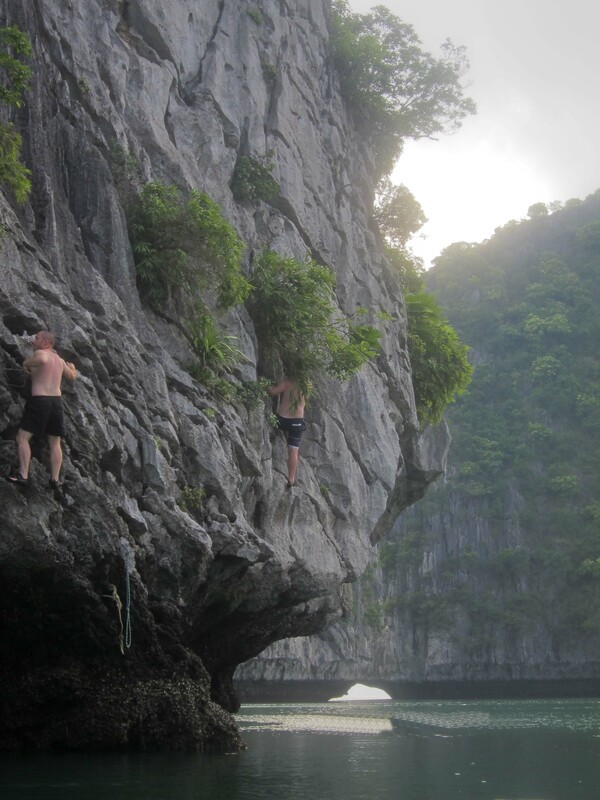 In a nutshell this involves climbing a cliff face with no ropes and then jumping into the water when you get to a maximum of 20/25 metres high or just fall off cos you slip or can’t find a route up the cliff. 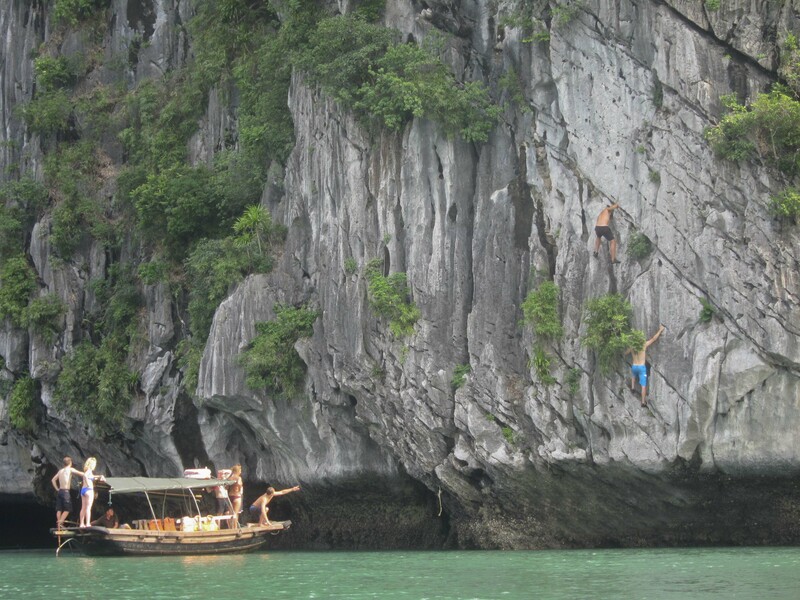 A boat deposits you at the cliff face and picks you up for another go once you hit the water. My first attempt was awful. I managed a metre at best. 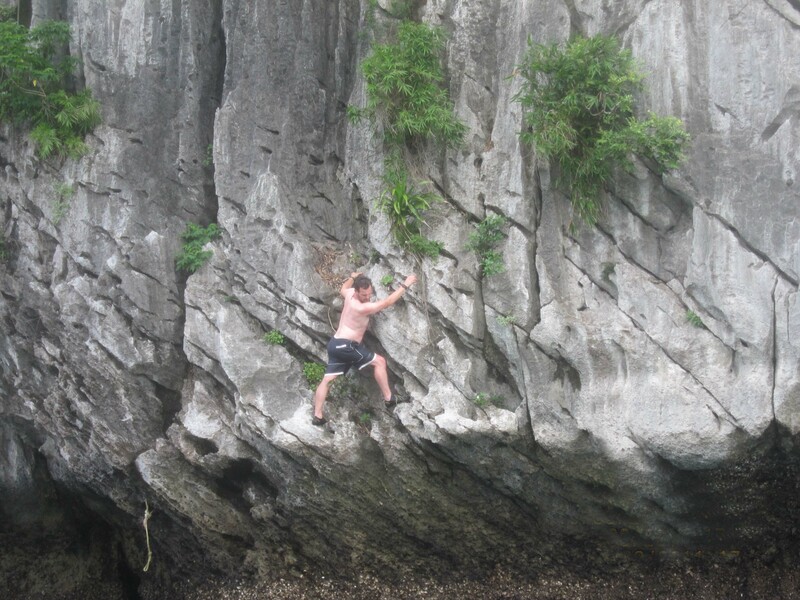 Once I’d got the hang of it and trusted my climbing shoes grip I was off like spiderman. Now that’s all well and good but the higher you climb the bigger the drop. 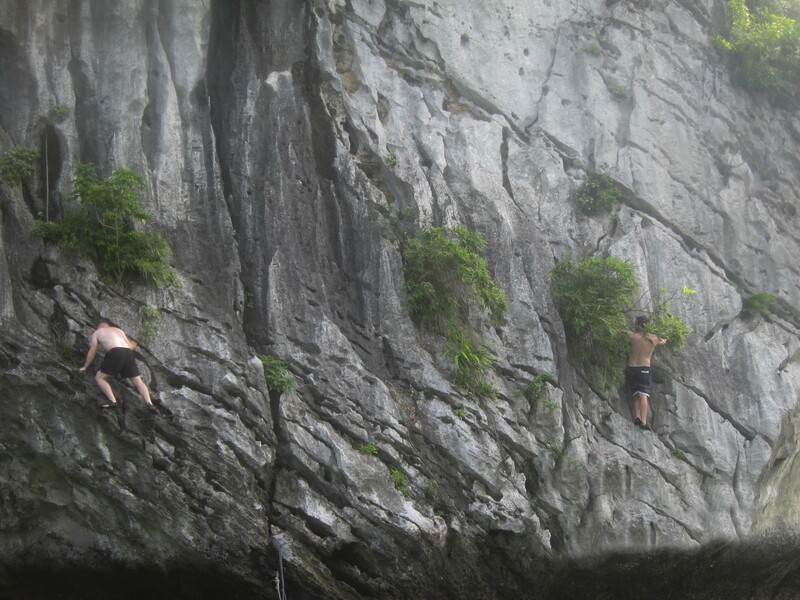 The best I managed was 13 metres (apparently the best in our little group of 5). It’s quite surprising how high 13 metres actually is. 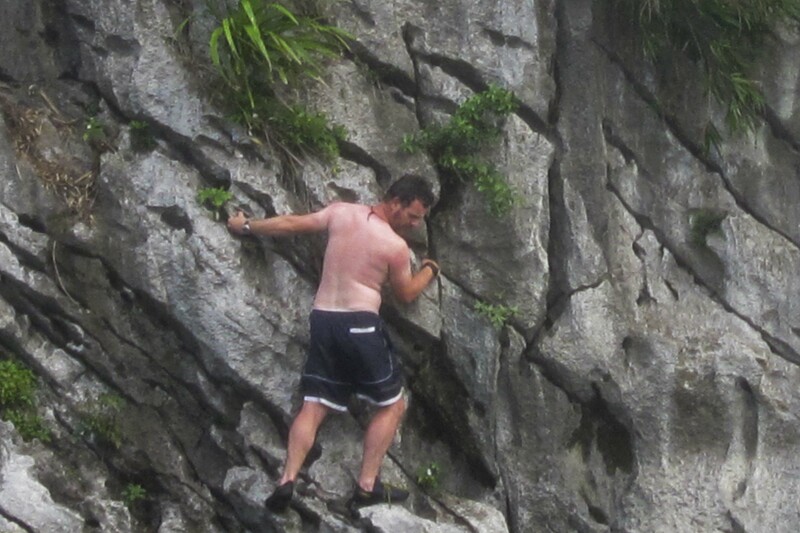 It’s a bloody long way down. 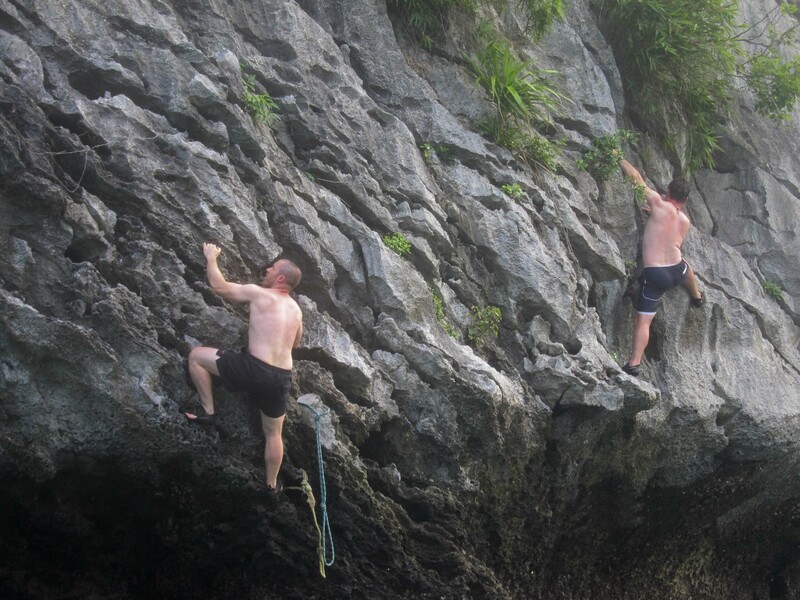 I pushed off so hard, to avoid the rocks, that instead of hitting the water feet first I tumbled into some kind of chest flop which hurt a tad. It felt like I’d cracked a rib, lost teeth and broken my nose. 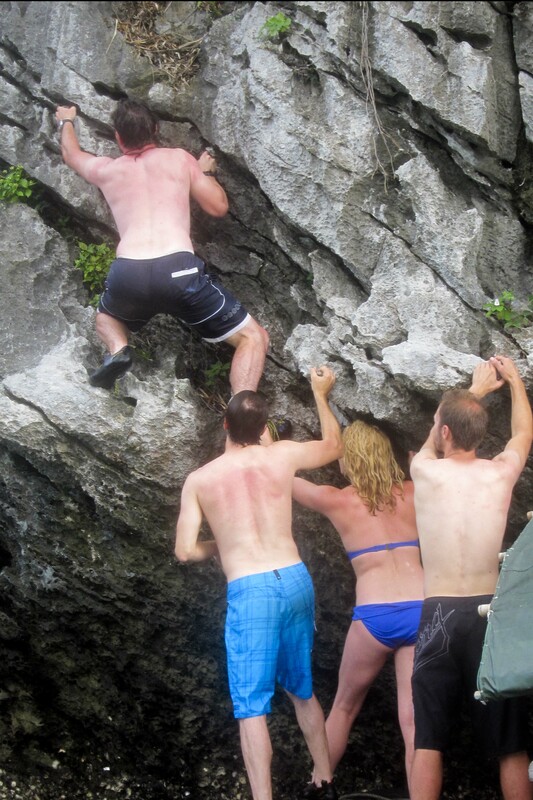 Luckily a quick once over while treading water convinced me I was fully intact. So off I went again. The rest of my jumps were text book, thankfully. Kerry and Kath captured a few shots of mine and the boys attempts. See below. The next day…god I hurt. It was great fun though and worth the pain. 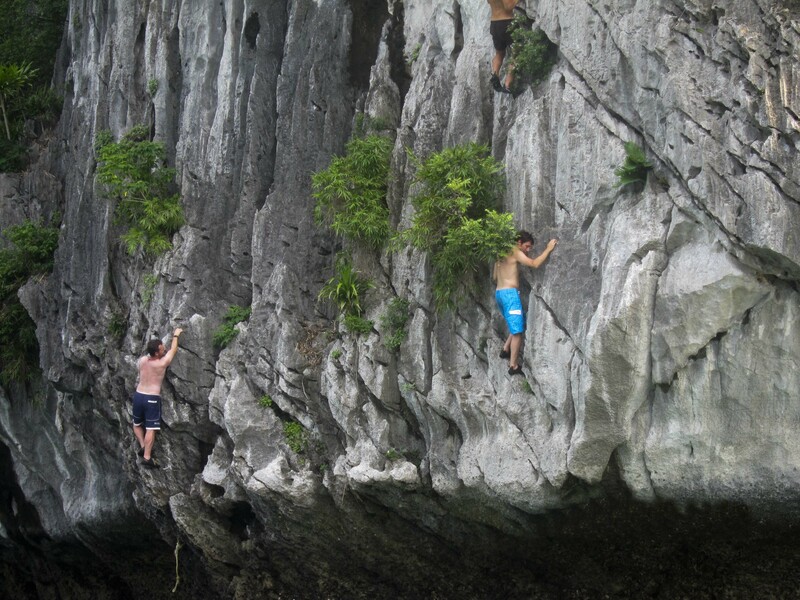 I think I’m turning into an adrenaline junkie. I’ll be doing it again at the first opportunity!! !